"Es Pla" - mentioned, is the flat zone in the middle of the island Majorca. The olives of the sort "Picual" of this high-quality olive oil, comes from this area . It presents itself green-gold and closely in the bottle, smells of fresh grass and green olives with a nuance of velvety pepper. It tastes silky softly, however, has also a peppery, piquant note. 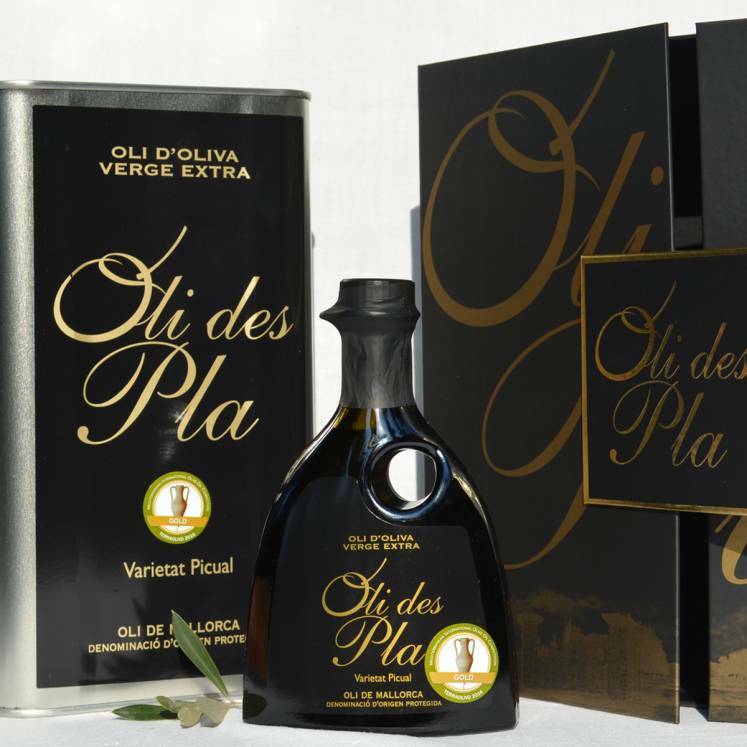 In a high-quality, very pleasing cardboard are a 3-liter box of the olive oil and a small 250 ml decoration bottle in order to refill. A beautiful pampering package and a noble present.